Group size - What is the ideal group size? In many cases this depends on the situation and on where you are travelling. Some places have only 4 or 5 tents or rooms, so a group of more than 8 people may need to stay in different larger establishments. If you are organising a large family trip, the benefits of being together and experiencing the journey as a group outweighs being in small places or otherwise restricting your trip. In this case we will design your journey specially, and select suitable accommodation. If you are a group of friends or can tailor your group size to the journey, the ideal size may be determined either by the groups interests (for instance hikers on a hiking trip in the Pyrenees should be content to hike the same distance and levels), or by logistical factors such as the amount of available seats in a safari vehicle (usually 4 or 6) or a light aircraft (a Cessna Caravan seats 10 passengers). If your group fills the transport units the cost per person is likely to be less. We design journeys for many varied groups, but generally groups sizes of 6-12 people are ideal. Group formation - Can I join a group? We specialise in custom journeys. We design each journey according to the needs of each group. As a result we do not mix groups. Cost - How much does a A Step Ahead custom journey cost? This varies depending on your budget, your choice of accommodation, whether or not you have a private guide and other factors. You may get an idea looking at sample itineraries on our Resources page. Payment - What are the payment conditions? This can vary depending of the conditions of the local operators in the country where you are travelling, and will be written up clearly in your Trip Contract. In general there is a non-refundable deposit to be paid. For our African safaris and our Kilimanjaro climbs we require a 30% deposit to be paid upon booking, ⅔rds of which is non-refundable. All of our booking fee/initial deposits for our European journeys are also non-refundable, although the amount to be paid is a lot less that our safaris. This is because the camps and lodges we use in the African bush are often very small, sometimes with only 4 or 5 tents, and these ground operators rarely have enough time to fill space once a booking has cancelled. As a result they demand high deposits. The actual conditions depend on the accommodation booked, the country you will be travelling, and other details that will be included in your Trip Contract. Credit Cards - Do you accept credit cards? No. We are based in Spain, in the Euro zone, but most of our receipts and our payments (to countries in Africa) are in US dollars. Our research has revealed if we were paid by credit card not only would a commission fee be incurred, but any payment would be credited in euros (even if we had a US dollar Paypal account!). As a result we only accept payment by wire (bank) transfer. This has always been efficient, very economical and simple to do, by wiring the amount to our US dollar bank account in Spain. Recently it has become even more efficient and economical for the payee, as the transfer can now be paid into a local (US or Canadian) bank account if the clients prefers using Transferwise. Cancellations - Can I cancel a booking and if so what would that cost? Yes. However there will be costs if you cancel. These will depend on how long before the trip start date you cancel. The details of the cancellation costs will be clearly described in your Trip Contract. Generally the terms for our African safaris are more stringent than our European trips. This is because many of the small lodges / camps and the guides are unlikely to refill the time allotted to your booking easily. Due to demand they often have to decline trips as soon as your booking is confirmed, so a later cancellation results in missed opportunities and business. They usually also have limited short seasons. If you think there is a possibility you may have to cancel your trip, it is advisable to contract a “Cancel for any reason” insurance within 2 weeks of paying the deposit for a trip, and to carefully read the conditions beforehand. Insurance - Am I insured when I book a trip with A Step Ahead? No you are not covered by any insurance. We oblige you to be covered by Emergency medical insurance for the full period of any trip booked by us. We will not be liable for any emergency evacuation or your health treatment costs if you require any of these services while travelling with us. Be aware that many normal health insurance policies in your home country do not cover you if you become ill or have an accident abroad. In some cases (often in the USA) they do, but they may not cover the costs of evacuation and repatriation while travelling. It is also advisable to thoroughly check cover for your health and evacuation for the period and locations that you will be travelling, and to buy additional travel insurance to cover that and other costs if necessary. Flight cancellation or delay (if the airline that you book your international air ticket cancels or delays your flight). Costs of these delays can be particularly expensive in the case of a safari, as in many instances there are limited schedule flights to the camps (such as only twice weekly) and in order to catch up with your itinerary, it may be necessary to charter a private aircraft. Delays or cancellations due to labour issues, strikes, terrorism, or other threats. Baggage loss or delay while en route. Trip cancellation in the event that you have to cancel your trip due to an unforeseen circumstance. This could be a death in the family or of a friend, an illness, jury duty, bankruptcy of a supplier or airline, or other issues prior to your departure. Trip interruption due to similar reasons such as health issues to you or people close to you at home while you are travelling. Costs incurred when flying or travelling from one place to another, such as theft, and loss of baggage, delay requiring hotel overnight stays if stranded en route to your travel destination. Cancel for any reason. This is nearly always an extra insurance, and it is usually only possible to contract this insurance within a limited period (often 2 weeks) of paying the initial deposit and signing the Trip Contract. Several websites explain the various types of insurance including Travel Insurance Review. AXA insurance for those living in the Schengen Area of Europe. Emergency - Am I covered for emergency evacuation in the event of an emergency? No, you are not covered unless it specifically says so in the trip inclusion details (mainly some East African safaris). However these do not allow you a choice of evacuation provider, only take you as far as the nearest private hospital, and do not include any costs incurred once you are there (such as costs for doctors, operations, medicines, accommodation et cetera. All those costs would be borne by you. You should cover yourself for any emergency while on your trip with us. Health insurance - Am I covered if I have a health problem while travelling with A Step Ahead? No, A Step Ahead S.L. does not automatically cover you for any health problem. You should find out if your own health insurance covers you for international travel, and if not purchase a travel insurance that does so. Travel insurance - Do you sell travel insurance? Currently, we can only sell travel insurance to residents of Spain. Advice on travel insurance is supplied above under the heading – Am I insured when I book a trip with A Step Ahead? We began designing journeys in Africa in the mid 1990s. A wildlife safari is a phenomenal experience. An excellent safari requires some flexibility. Wildlife moves, conditions change, and events on safari are unpredictable, as they are not orchestrated, but depend mainly on positioning ourselves well for an opportunity to arise and so experience something amazing. Many luxury camps and lodges provide wonderful accommodations, and their clients leave delighted with what they have seen. However, unless they have travelled on many different safaris with many different operators, they are unlikely to know the difference between one service and another. We assure you that there is a huge difference in the details of any safari. Unfortunately this is hard to describe to anyone who has not experienced it before. We design and orchestrate independent safaris, where the guests stay in camps with other guests and share a vehicle and camp guide with other guests. Often this happens with small groups or couples, because the cost of a private guide and private vehicle is high in these cases. This style of safari is also the most common type available, even with many of the most exclusive travel designers and outfitters. 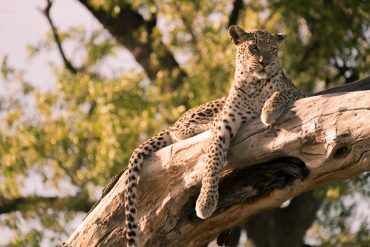 However our speciality is designing safari with your own private A Step Ahead guide, who will make a huge difference to your experience. Most people understand that all cars have wheels, brakes and headlights. Some have electronic window winders and some have manual ones. Some have leather seats and some have plastic ones. Some have heated seats or air conditioning, and some do not. On safari the accommodation you choose could be correlated with the type of vehicle you buy. And the best safari would be akin to you hiring a car you want with a chauffeur who really knows the area. Your guide is the driver, and no matter how smart or not your vehicle is, the experience you have at the end will depend more on the skill of your driver and where he takes you, than the vehicle itself. Of course, it may be important to have the right car, especially if you would not be happy with a 4×4 Land-Rover when what you were hoping for was a Rolls Royce! Our custom safaris cater to all kinds of accommodation needs. More information on the difference between a private guided journey and other journeys are described here. Private guided or not - What would be the main difference between a guided journey and one without a guide? Generally a private guided safari is more flexible as many of the trip details are left up to the A Step Ahead guide while on your journey. He would customise your journey as it happens. You would also have more continuity between one place and another, as the guide would know your preferences, and what you have or have not seen, and customise accordingly, allowing for different experiences in the next location. Our independent safaris (with no A Step Ahead guide) are also very popular, even though you would follow more of the program of each camp or lodge, so the day to day activities would be less customised. Gratuities - Is it customary to pay a gratuity to the guide or lodge or hotel? If so, how much? In Africa, yes, it is. Of course this is discretionary, and should depend on the service you receive. Usually this is done once during your stay at each place, just before you leave, and often there is a communal tip box for this purpose. Once you have booked your trip, you will be sent lots of information and details on your trip, including gratuity guidelines. To give you a rough idea the total cost of gratuities on an African safari may be about 5% of the total trip cost. In Spain and France a tip is not common, although tipping loose change for meals and taxis is appreciated. However if you are with a guide for more than a day, your guide will appreciate a tip if you have been very pleased with the service you have received. Suggestions will be given to you in the information that you receive once you have booked your trip. What to bring - How will I know what to bring on my journey? We provide a detailed packing list and can answer any questions you have. The list is also useful to ensure that you do not bring too much, as in some cases there are weight limits (such as when flying in light aircraft in Africa). Do I have to be fit? Can anyone go on a journey to Spain or a safari? Some of our journeys and safaris have fitness requirements, and others do not require a fitness level. Details on the requirements will be described in the itinerary. Examples of safaris that do require you to be fit include gorilla and chimpanzee tracking, climbing Mount Kilimanjaro or Mount Meru, and to some extent canoeing and walking safaris. Hiking trips in the Pyrenees require that all the group be content to do hikes of the same level if they want a guide. However there are so many opportunities and so much variety in hikes that it is possible to do short easy walks as well. The limiting factor if you want flexibility is how many guides you have on your trip. More information - I can't find an answer here. Is there somewhere else I can look? 2. to email us your questions by completing the online Contact form. The main areas of the website are – 1. the headings along the top (About, Accommodation, Destinations, Planning), 2. the blog (link at the top left) and 3. the Resources section (link at the bottom of the page). Length of a safari - How long are your safaris? All our safaris are custom designed, so they vary in length. We usually recommend about 2 weeks in Africa as a good length of time. 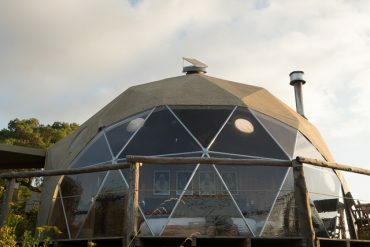 You would see lots of different places, scenery and habitats, and stay in about 5 or 6 different accommodations, but it would not be too rushed, so you should get a good immersion in the African bush. People travelling from Europe to Africa have a shorter journey and less time change, so little or no time is required for “entry” into the bush. In that case 10 days is still good for Europeans. A short safari can be 8 or 10 days (3 or 4 different accommodations), and can also be a fantastic experience. Some people come on a three week safari, see more places, become more overawed by the African bush experience, and still have lots left to do by the end! 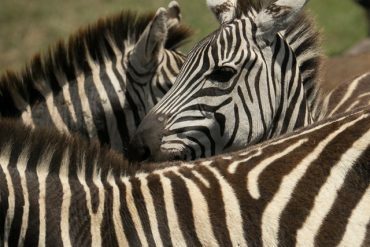 Inoculations - Do I need inoculations to come on safari? Visas - What are the visa and entry requirements when travelling to Africa? There are about 50 countries in Africa. We design safaris in about 10 countries. Each country has its own requirements, which also depend on your own nationality. When you book a safari with us we will inform you of specific visa and entry requirements related to your trip. Visas are not included in the trip price. Recently some countries now issue combined visas valid for travel in more than one country for multiple entry. These can be great if you are visiting several countries. In 2015 Kenya, Uganda and Rwanda issued a combined visa, and so did Zambia and Zimbabwe issue their own one. Aside from visa requirements most countries also require that your passport be valid for at least 6 months after the end of your trip, so if it is about to expire, renew it beforehand. Recently South Africa has introduced special extra requirements for any minor travelling in and out of South Africa. These usually involve carrying an unabridged birth certificate. The latest details are available here – South African Airways page, or US State Department information for South Africa, or South African Consular Services for North America. Accommodation - What are the accommodations like? The best resource to see the accommodation possibilities is to visit our Accommodations page. If you have specific questions please email us. 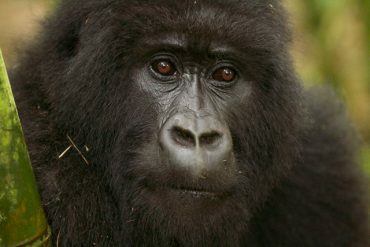 Wilderness Africa - What is the difference between Wilderness Africa and A Step Ahead? We used to call ourselves Wilderness Africa. In 2008 professional guide Justin Bell and his wife Gillian Lyons and family moved to the Spanish Pyrenees. Justin still guides safaris in Africa. However the introduction of custom journeys in Spain and France as an addition to custom safaris and Kilimanjaro climbs in Africa resulted in the decision to call ourselves A Step Ahead. 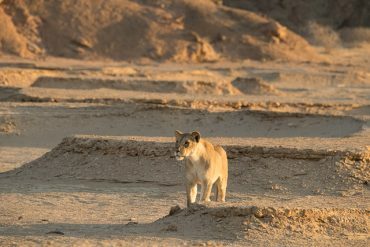 What are A Step Ahead private guided safaris? How are they different to other safaris? An explanation of a private guided safari and alternatives is explained on our Journey Style page in the Planning section. Best time - What time of year is the best for a safari? We design and guide safaris from the Equator (Kenya and Uganda) and further north (Ethiopia) to almost 34o South (the southern tip of South Africa). That is over 4,000 kms or 2,500 miles, and is equivalent to the distance from New York City, NY to Quito (Ecuador), or from Miami, FL to Yakima, WA. Due to the wide variation in latitude and altitude, there is a huge variation in climate at any time of year. In East Africa (northern Tanzania & Uganda) both December-March (green season) and June-October (dry season) are excellent. In central and southern Africa (Botswana, Namibia, South Africa, Zambia & Zimbabwe) June (winter) – early October (dry season) is best. Botswana and Namibia are drier areas than can also be very good earlier in the year as well – in April and May. The Cape Town area has a Mediterranean climate so is good for much of the year, and prime from September (spring) to May (fall, autumn). Where - In which countries do you do safaris? Our Destinations page outlines and describes the countries that we design journeys. Equipment needed - What boots and other equipment should I bring? When you book a climb with us you will receive a detailed equipment list from us outlining everything you will need. Items are marked if they are essential, so it is easy to distinguish between them and extra or luxury additional items. Briefly, you will need to bring sturdy and comfortable hiking boots (preferably ones that protect the ankles), all the clothes that you require, a day pack (so that you can carry items you need during the day such as rain gear, your valuables, camera, phone, a snack, water bottles or Camelbak etc), and 2 duffels or bags to contain everything that you will not have with you during the day while hiking. You need 2 duffels because one is for items that you do not need on the climb (such as items for travelling to and from Africa and to use during a safari). This bag is stored while you are on the climb and delivered to you when you finish the climb. The second duffel is carried by the porter who carries your gear while on the climb. This will contain everything that you do not need during the day. It will include your sleeping bag and sleeping mat (even though we supply these). It will also include items that you need to bring for the climb such as extra clothes, comfortable footwear to wear in camp, a towel, flashlight, spare batteries, perhaps an ipad, or games such as a deck or cards, and any personal health items such as medications. Equipment provided - What equipment is provided? We provide all the tents and general camp equipment such as cutlery, food, chairs, table, dining tent, etc and a sleeping pad or mattress and a sleeping bag. You bring all the other items that you will need for the climb, such as boots, clothing, towel, shampoo etc. It is possible to hire specialist mountain gear such as gaiters, jackets, rain pants, goggles or sun protecting eyewear, gloves, and daypacks. Cost - Why does it cost so much? A seven or eight day porter assisted climb involves a huge amount of preparation, equipment, planning, and personnel, many of whom need to be well-trained. Park Entry fees are charged each person for each day spent inside the Kilimanjaro National Park, and have to be paid for each person, including every porter. While park fees are quoted separately for climbers, the costs of the staff ‘s park fees must be included in the trip cost. Fresh food re-supplies need to be co-ordinated and portered up every 3 or 4 days. We provide excellent and well-trained assistant guides, cooks and an experienced head guide. Furthermore all our climbs are custom climbs designed solely for your group. When calculating the climb, the estimated operational cost is divided by the number of people on your climb. Most climbs on the mountain are not custom climbs, and are sold as packages, where you join a group of others. The costs in that case are calculated based on an average group size with a margin. This generally is more economical, but you will be with other people, and the climb will be less flexible to your wishes. We sometimes change the route, or cut or add a day if it works out better for your group. Do I have to carry a lot while hiking? You will only need to carry a small (20-25 litre) day-pack containing your valuables (e.g. passport, money), an extra layer of clothing in case it gets colder, or we stop and rest while hiking, rainproof gear, gloves, sunscreen, sunglasses, water bottles or Camelbak, and a snack and camera if required. All the rest of your items (those that you don’t need during the day) will be carried by your porter. Porters and support - How many porters and guides will there be? The actual number depends on the size of your group and the length of time you will be hiking the mountain. As a rough idea there will from 4- 5 times more staff than paying climbers. There will also be about one guide or assistant guide for every two paying climbers. Porter conditions - Are the porters paid well? Yes, all the porters on your climb are paid a good wage and are provided with proper equipment. Our Kilimanjaro ground operators support the Kilimanjaro Porters Assistance Project which monitors the conditions of the porters on our climbs and is an avenue for dialogue between porters and the operators, ensuring that they are treated well. Porters loads - What do the porters carry? Our ground operators are stringent at ensuring the porters do not carry more than the stipulated load of 20kgs (44lbs) each. Temperatures - How cold does it get? The temperature obviously varies enormously depending on altitude and the time of day. Temperature generally is decreases about 6.4°C for every 1000m (almost 1.3°C for every 200m) or almost 3.5°F for every 1,000 ft) gained. Furthermore the difference between day and night temperatures, especially in the high desert region (above 4,000m / 13,100ft) is significant. In the Crater Camp at 5,717m (18,750ft) near the summit, the day temperatures can range from 30°C to -10°C, changing often in a matter of minutes depending on cloud cover and wind! Night temperatures range from -7° to -30° Celsius (20° to -20°F). It can be -5°C (23°F) inside your tent. We only stay in the Crater Camp on our 9 day climb. On all other climbs the highest we stay is at Arrow Glacier 4,905m (16,090 ft) which is considerably lower and warmer. Fitness required - How fit do you have to be? Climbing to the summit of the highest mountain in Africa is definitely a challenge. It is always a benefit to be in good shape, and to enjoy hiking and exercise. You have to be in general good health, and will be required to complete our Medical Assessment Form in order to be allowed to climb. However the most important factor is how well you acclimatise. If you have never been hiking above 4,500m (14,800 ft), you will most likely not know how well you generally acclimatise. Even if you have done so, there are many factors that can influence acclimatisation. Many of these factors are ones that we can manipulate and thus usually improve your acclimatisation to altitude. To sum up, if you are in reasonable good health and want to climb Kilimanjaro, ready to take the challenge, you can most likely achieve your goal. We use 3-main dome tents for every 2 climbers, unless you book a single tent. See our Kilimanjaro page for images of these tents. This will mean that there is room for 2 mattresses and sleeping bags, and some room for other items, but your main duffel will fit in the alcove under the fly sheet of your dome tent (outside). If you have a single tent, the tent will be a little colder, as only your own body heat can warm the air space inside your tent. Food - What is the food like? Hiking a big mountain requires a lot of energy, and a common effect of being at high altitude is a loss of appetite. As a result we work very hard to supply tasty high-carbohydrate dishes, ensuring climbers eat well and have plenty of energy. Meals are suited to Western tastes. Breakfast includes fresh fruit, eggs, toast, jam, often pancakes or porridge (oatmeal) or both, and tea and coffee. Lunch is either a picnic en route or a hot lunch in camp for shorter days. Usually lunch consists of nuts and fruit, sandwiches, cheese, salami or ham, and a simple salad. If we are having lunch in camp there is a hot soup as well. Upon arrival in camp tea, coffee, hot chocolate and biscuits or popcorn are provided as soon as the kitchen is able. Dinner usually consists of a starter, often a soup, followed by a main course. This consists of a starch, such as spaghetti, rice or potatoes, accompanied by a vegetarian or meat choice such as a bolognaise, stew, curry, or fish dish. This is followed by a simple dessert. When we prepare for your climb, we request details of your dietary requirements and needs in case we need to customize the menu. We use mainly fresh fruit and vegetables in dishes, all of which is portered up the mountain, with a mid-trip re-supply. Length of climb - I have heard of people climbing it in 4 days. Why does it take you so many days to climb Kilimanjaro? The key to climbing such a big mountain is acclimatisation. In order to achieve this a slow careful ascent is recommended. Each person acclimatizes at a different rate depending on their physiology, health at the time, and other factors. As a result there is no exact standard, but it is wise to prepare conservatively to ensure that all the climbers in the group reach their goal. It may be possible to climb the mountain taking less days, but an extra day makes a huge difference to success rates and comfort. In many ways our excellent success rate of over 95% is partly due to the careful ascents involving climbs of 7 or more days on the mountain. Other climbs - Is there another mountain I can climb in the area? Yes, East Africa abounds in wonderful mountains to climb. Aside from Mount Kilimanjaro, Mount Kenya (obviously in Kenya) – 5,199m (17,060 ft), and Mount Meru (in Tanzania) – 4,565m (14,977 ft) are the most popular mountains to climb. On both mountains you may see wildlife on the hike. 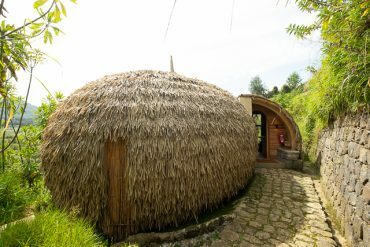 The Mt Meru climb involves staying in huts and spending 3 nights on the mountain. 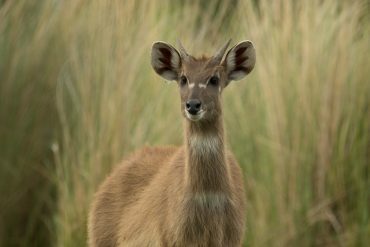 Cape buffalo, giraffe, olive baboon, bushbuck, black and white colobus and blue monkeys are all often seen while climbing Mt Meru, as well as many other species or mammals and birds. Mt Meru is higher than Mt Whitney in the USA, and almost as high as Mt Blanc in France, so you should feel proud when you have climbed to the summit! Please browse through our accommodations pages. In general we divide accommodation style into Boutique, Luxury and Adventurous. Our accommodation descriptions for Europe involve the first two, and both categories have been selected by us for their charm and good service. We would only suggest staying in the third (adventurous accommodations) if you wanted to climb the high peaks of the Pyrenees, where you would be staying in the mountain refuges, usually only offering dormitories. However if you are interested in this kind of adventurous travel accompanied by one of our guides, include this in the on-line form information, as there are some refuges that provide 4 bed rooms, usually with shared shower and loo facilities. Laundry - Is there laundry service? This depends on where you are staying. It will normally be indicated in the itinerary whether there is laundry or not provided (usually for a fee). Normally the small family run establishments in remote areas do not provide laundry service, so please read your itinerary carefully before confirming the journey, and before packing. Meals - Which meals are included? This depends on the itinerary, and will be indicated by a B (breakfast included), L (lunch included) and D (Dinner included) in the description. Normally a continental breakfast, followed by a picnic lunch or light tapas in a bar or restaurant, and then a dinner with a set menu is included. If you want extra meals, or items not offered on the set menu at dinner, you will be charged for it. Drinks are also not included. Sometimes a meal is specifically not included to allow you to choose from restaurants available. Visas - What are the visa requirements when travelling to Spain and France? This depends on what passport you have. Spain and France are both members of the European Union and are also in the Schengen area. Holders of US and Canadian passports do not need a visa to enter the Schengen Area for stays of less than 90 days. However your passport must be valid for at least 3 months after your expected date of departure from Spain or France. It is recommended to have 6 months validity on your passport upon entry. If you are a U.S. or Canadian citizen you can apply to enter the Schengen area without a visa for a period of three months within each 6 period. If you spend 3 months in the Schengen area during any 6 period, you must wait another 3 months before you can apply to enter the Schengen area again without a visa. If you do not meet these requirements, you should apply for a visa. Transport - How do we get around? We travel in 8-seater mini-vans. Usually we carry up to 5 paying guests in each 8-seater mini-van, to ensure comfort, and the have plenty of space for bags and picnic equipment. Do I have to carry anything while hiking? Yes, you should carry a 25 litre frame-less day pack. This should contain a rainproof outer layer (usually just a raincoat is sufficient), an extra warm layer, shade hat and/or warm woolly hat, water bottles or water bladder (e.g. Camelbak), hiking poles if preferred, camera, mobile phone and passport or other personal items. If you are doing full day more strenuous hikes it may also be necessary to carry some of the picnic food or gear. How hard is the hiking? The Pyrenees is an astoundingly scenic and varied area for hiking. As long as your group is happy to do hikes of the same length and duress, we can totally customise the hikes to suit the group, as there are plenty of routes for us to choose. If one or more of you are of a lower standard than the others, we will design our hikes to suit that person, unless we have extra guides to allow us the flexibility to do different types of hikes for different members of the group. The activities depend on where you will be going and the time of year, and details of the possibilities will be included in your itinerary. To give you an idea for the planning stages of your journey, before the itinerary is finalised, some of the activities that may be possible include : hiking, mountain biking, road biking (touring), swimming, surfing, sailing, water-skiing, alpine skiing, cross-country skiing, gliding, canyoning, rock-climbing, kayaking, fly fishing, attending a cooking course with a local chef, wine-tasting, historical tours, theatre, and museum visits. Why the Pyrenees - What is special about the Pyrenees over other parts of Europe? The Pyrenees is a stunning mountain range with a lot of variety and character. It is not crowded with tourists, being a relatively unknown part of Europe. However there are lots of wonderful places to stay, with varied and excellent cuisine. The most distinctive features of the Pyrenees are probably variety and beauty. Fly to/ from - Where can I fly in / out of to begin the trip? The easiest entry points are Barcelona and Bilbao. Both have frequent flights to and from other European cities. Barcelona also has some direct flights to/from the USA. Madrid is only 1 hours express train away from Zaragoza, where many of our journeys begin. Biarritz, Pau, Tarbes and Toulouse are other possibilities with some, but limited connectivity.